Marathon Nutrition - Last 7 Days, Before, Under and After the Race. 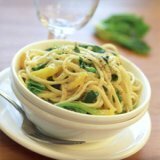 Marathon Nutrition - What, and When to Eat and Drink What! Tweet Click here to subscribe to my mailing listand get 15 free running workouts and more. "7 Days Before, Right Before, Under and After a Marathon"
Marathon nutrition is one of the most discussed topics among marathon runners. No wonder. A marathon can last from 2 hours up to 5 hours. How you plan your race day diet for example is crucial for marathon success. It is the running event where nutrition is by far the most important to consider. It can be a real nutritional challenge. Alot have been written about this topic. In books and on various web pages. Some really good information that needs attention. The Aim : a Simple Way of Hitting Marathon Nutrition Right. Marathon nutrition does not have to be difficult, but it needs to be done right. So the aim here is to help you make a proper plan for yourself. One of the main problems with the extensive information out there is just that. Good thing is, more and more science on drinking and eating - energy intake and expenditure is done. It clears alot of those things out. Of course, you do know that you need to drink during a marathon. And you do know that a pre-race meal is important. No one needs to tell you that. and how much fuel your body needs in the marathon buildup plus the race. "Hitting the wall" in the marathon is no fun. What is hitting the wall ? It is a phrase for the marathon runner who has over-run. Or under eaten early in the race. Or not planned his food regime well enough the days before. And ends up with a dramatic, often sudden decrease of running speed due to this. This goes for elite runners or first time marathoners. It is Feared and it is Fascinating to Overcome the Marathon Wall. But Can Be Helped With a Good Marathon Diet. Especially important is how you plan your diet during the actual race. This you can read about in this article on marathon race nutrition that I have added below. With a good plan for their diet regime before a marathon, combined with good pacing strategies most will have no problem finishing a marathon with style. It is just that is takes that little bit extra planning and understanding. It is not difficult once you get a grip on it. And the more experienced marathoners all have their own little food routines that works well before races. Consider Marathon Pre-Race Loading for About 7 Days Before the Race. The "old school" of doing this was to decrease what you ate for a period, say for three days 7 to 4 days before a race.Then "over-eat" the last 4 days. You go into a period of depleting your carbo-storage first. And your body reacts with "allowing" you to over-fill the system thereafter. You do a little bit of less carbo eating 4-7 days before and then eat normal (but a little more starch than "normal") for the last 4 days while on a decrease in running mileage. Research shows that this can give pretty equal results compared to the old school. Take Good Care of the Pre-Breakfast. This is a "window of opportunity" often overlooked. Put some extra time into it and it is well worth it, I wish you all the best with the all-important-drink-and-eat plan. KNOW, Not Guess How Much to Eat and Drink During the Race. This is a Key in Good Marathon Nutrition. And practice doing this in your training. As with a good marathon training schedule, marathon nutrition should also be planned equally individual and smart. With an understanding of what you really need during the marathon race - you can help yourself avoid over-drinking (which is actually a more often cause of deaths/collapses in marathons than dehydration..) or under-drinking. You want to hit to right where it is optimal. And you don't want to waste time thinking about this during the actual race. In the article right below about marathon race nutrition you can read more about this. With examples of how much want to aim for in terms of drinks and nutrition during the actual race. Click here to subscribe to my mailing listand get 15 free running workouts and more. Check right below for related articles. Sites of friends : I'm adding in some websites of friends here, they are related to anything nutrition related, supplements, diet tips etc. Pre race marathon diet tips - The extremely important last meal before the marathon can make the difference between finishing with style or struggle for home. You can read more about it in this article. 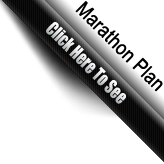 Marathon Race Nutrition - During your marathon race. What, when and how much to eat and drink. How to calculate this is why this is important.